Our team provides Luxury Van Service to pick up groups of people from the airport. The next time you are visiting New York City, and you are coming with a large group to and from JFK, choose our 10-passenger airport services for the most efficient and budget-friendly limo service from the airport. Count on us to provide the best transportation needs. whether you are travelling for business, have guests joining your wedding celebrations or planning a family vacation. Our limousine offer plenty of luggage space for ten passengers. The team at K and G Limo is committed to our customer satisfaction and works diligently to ensure the best passenger experience is provided every time you travel with our JFK Luxury Van transport. Our chauffeur will be promptly parked right at the door every time you and your group (friends or family) have a scheduled pickup. 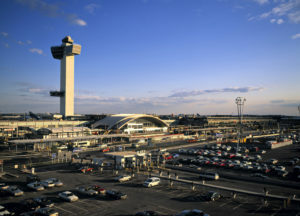 Make sure that your JFK airport transfer car service is with K and G Limo and we will get you to your terminal in no time. For clients who demand a higher level of service, contact our staff to arrange our Meet and Greet Service. Our chauffeurs have 35 years at JFK and we will know the ins and outs and ensure that you will and you group will be picked up.K and G Limousine with years of professional service experience, knowledge and amazingsafety driving records. K and G Limousine has hand-picked the best to provide you with our red-carpet service. We have the appropriate team to ensure that you enjoy a stress-free trip with JFK and our Navigator limo airport transport service will be there for your needs. Our airport service is amazing for corporate teams travelling to business meetings as well as leisure travelers headed for a family vacation, sporting event or musical concert. Even in the case when a flight is delayed, you can count on a limo to pick you up. A professional airport limo service team is set up to monitor the flights to and from JFK enables us to keep a close eye on any unplanned changes and act quickly to ensure your pickup time coincides with the actual ETA and ETDs. The team at K and G Limo is here to assist you, twenty-four hours a day, seven days a week.